Over the past two months the Israeli government has undergone unusally dramatic turbulence. Institutional shaking in politics and national security has steadily increased. As intercessors, we view these shakings as answers to prayer for God to expose evil and raise up a righteous, just government aligned with His Word. The process, however, can be very difficult on all practical levels. Sadly, there is a long history of corruption within the Israeli government, the military and other social institutions. Because of this, for years we have confessed our national sin and cried out for God to “purge away [our] dross,” “remove all [our] impurities,” and “restore [our] judges as in days of old.” (Isaiah 1:25-26) Now that corruption of individual leaders is being exposed weekly, we are called to stand firm and persevere in prayer to an even greater extent. God told Jeremiah, “See, today I have appointed you over nations and kingdoms to uproot and tear down, to destroy and overthrow, to build and to plant.” (Jeremiah 1:9-10) As powers and principalities are restrained, torn down or overthrown, we can not neglect the important work of building and planting through prayer and other means. Through the shakings, God is graciously calling Israel to turn back to Him. As the remnant Bride stands in the gap, in the authority of King Yeshua, we believe He is mercifully giving us more time: first, to turn our hearts; and second, our nation. Daily we desire that our hearts be re-calibrated to His Word. Daily we worship Him, offering ourselves as living sacrifices. (Romans 12:1) Daily we seek His grace and presence to stand firm to the end. As we persevere, we ask God to place into office the leaders who will best serve His purposes. We know that most Christians abroad are especially fond of PM Netanyahu. Mr. Netanyahu has done a superb job as ambassador to the nations. He is an extraordinarily gifted statesman. We want him to stay in office—as long as God wants him there. We do not know how long that is. Shape Israel’s Future in Prayer! 1. Mr. Netanyahu. Please pray that God will deal personally with Mr. Netanyahu. He has heard the Gospel several times but is not a follower of Yeshua. Pray he will repent of any wrongdoing and seek God’s face. If he has done nothing wrong, God will be his vindication. If he has done wrong, may God hear and respond to his sincere repentance. May he soon place his faith in Messiah. 2. The voting Israeli public. Prayerfully proclaim wakefulness, responsible citizenship and hope over the many that have grown complacent, disenfranchised or too heartsick with politics to care anymore. Pray God’s grace on the electorate to remember and “look to the Rock from which we were hewn” as we vote. (Isaiah 51:1) In a democracy, the people choose their leaders with the free will God gave them. 3. Ultra-Orthodox power. Pray for a loosening of the ant-Messiah stronghold in our government due to disproportionate power wielded by ultra-Orthodox religious parties. Pray the next government would be able to form a coalition without these parties! Pray also for dissolution of the “deep state” created by these parties, which could otherwise still wield influence. Pray for the salvation of ultra-Orthodox Jews who despise Messianic Jews, Christianity and Yeshua Himself. 4. Threat of war. Pray for righteousness, justice and steadfast alertness in our military and security. 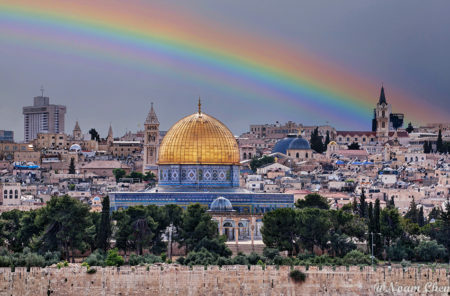 In the past two months, several Israeli intercessors have had dreams, visions or other perceptions of significant military threats to the country, possibly even a war. We believe God wants to either avert such attacks, or greatly lessen their severity in response to prayer. For our soldiers, please ask for protection, wise discernment in stressful situations and for a revived morale reflective of biblical principles. 5. Israeli intercessors. Pray for the daily encouragement, strengthening and maturity of the small but growing remnant of Israeli intercessors. Most face very hard, daily struggles and battles, so battling in the Spirit on behalf of a nation is truly a challenge for them. Pray for the grace to persevere, find joy in God’s presence and grow in the knowledge of His love. Ask God to grow us in authority and gifting. With all our hearts, we thank you!